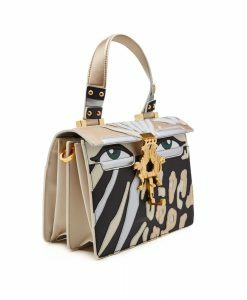 Giancarlo Petriglia is the” king” of bags transformations and playful aesthetics. 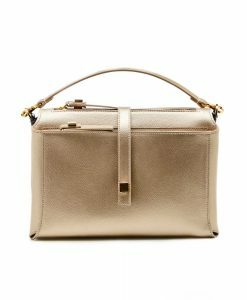 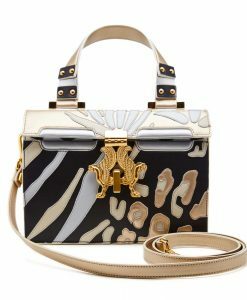 This new 2018 spring summer season Italian designer presents a brand new model – Franca mini shoulder bag which can be transformed and used also as a zipped purse. 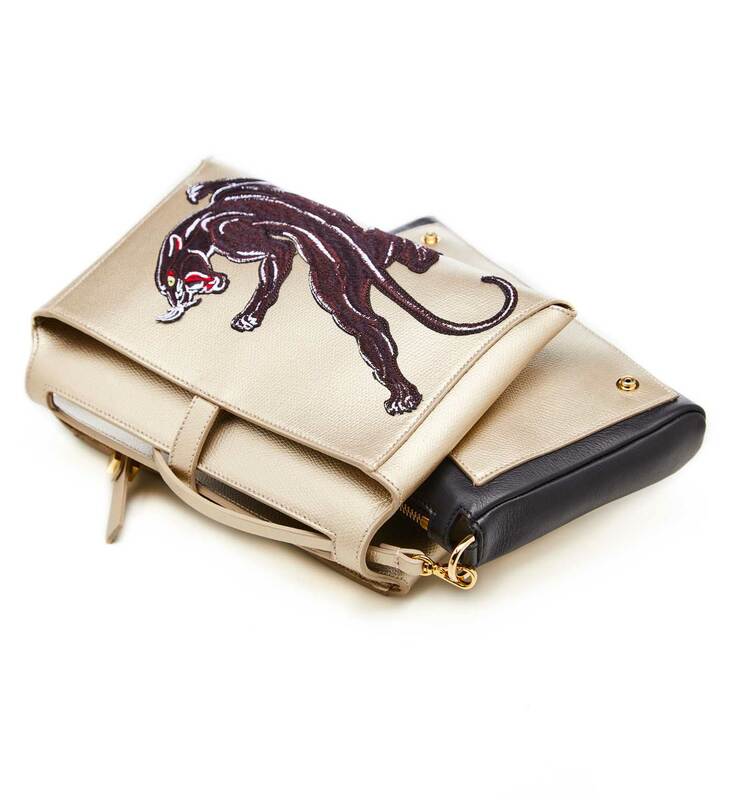 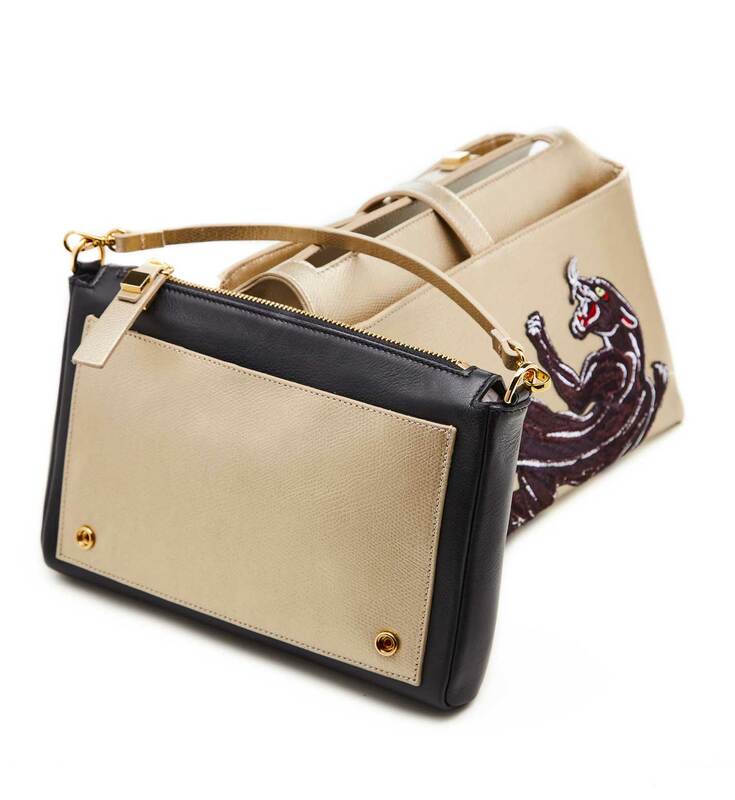 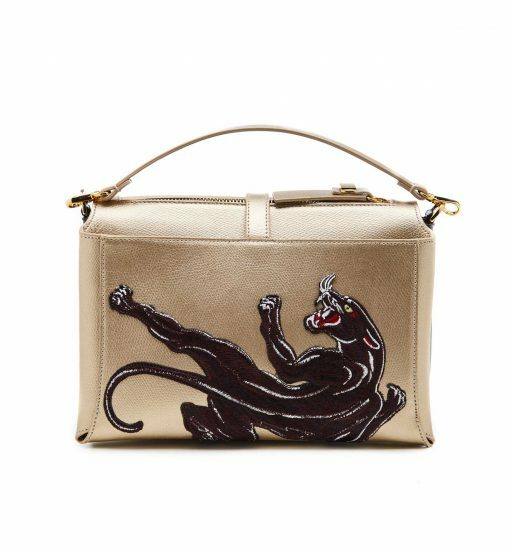 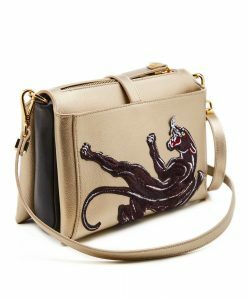 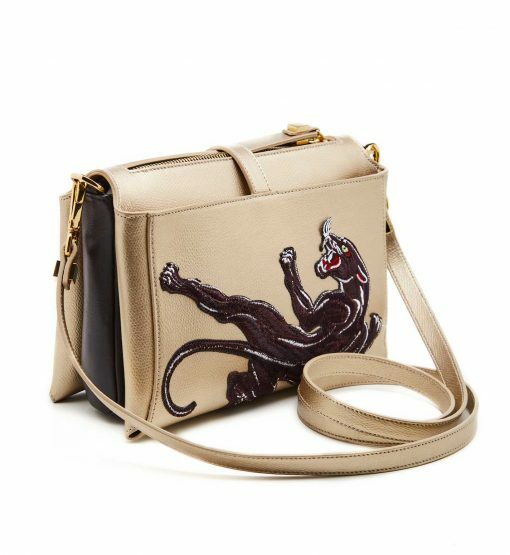 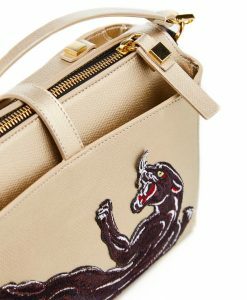 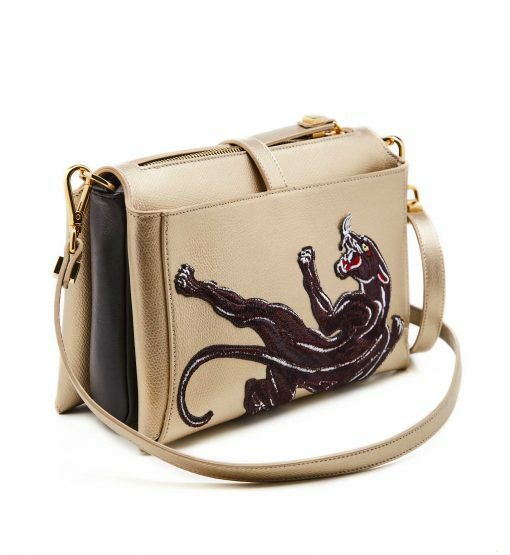 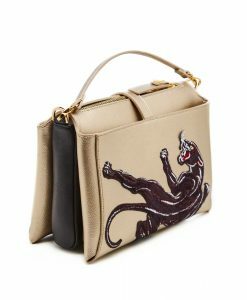 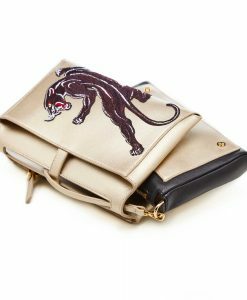 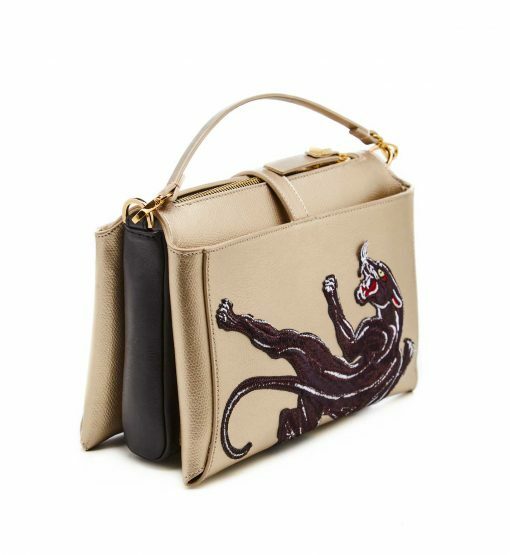 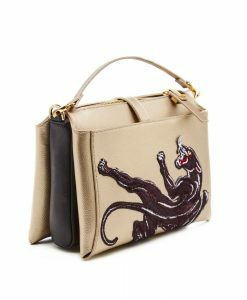 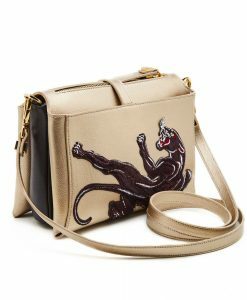 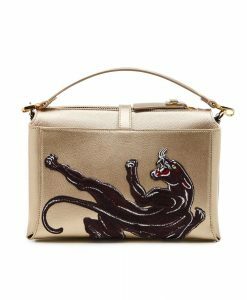 This amazing bag is made from textured gold leather embossed with a black pantera. 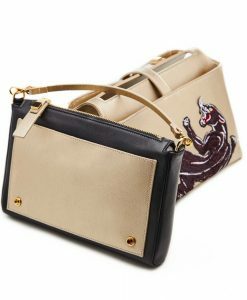 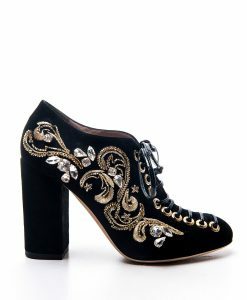 The central black part can be unfastened and used as a separate accessory. 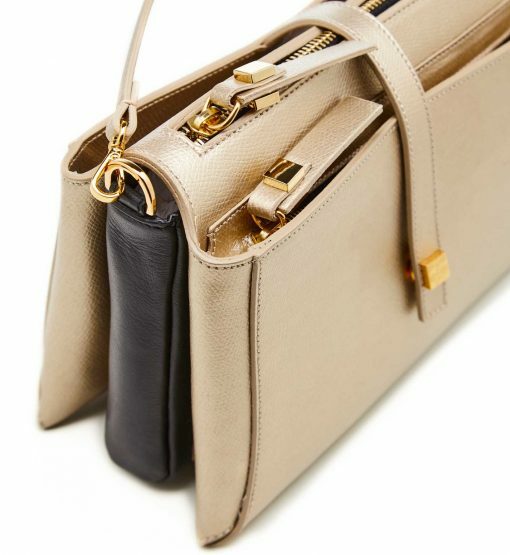 Attach a longer shoulder strap to wear cross body. 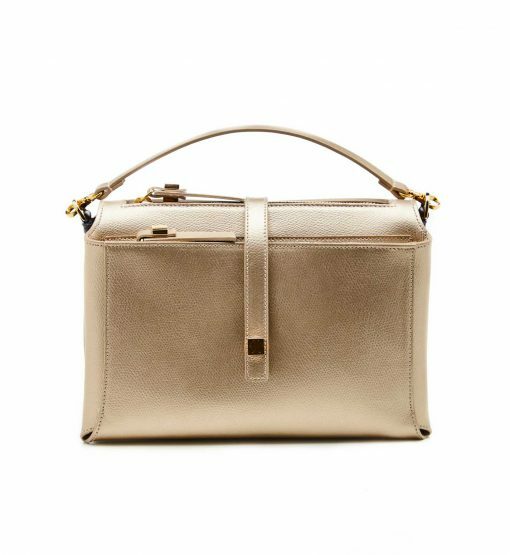 This minimalist bag has a plenty of pockets and zips to place all your essentials like phone, credit cards holder, lipstick and keys.